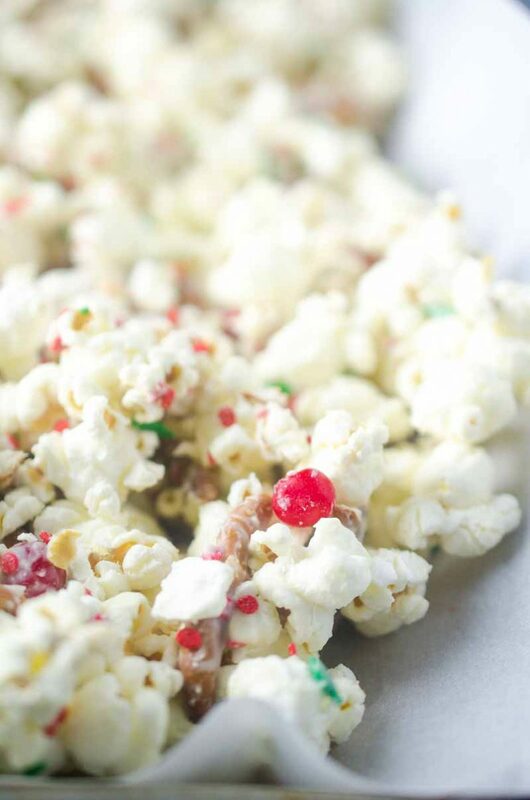 Cinnamon Christmas Popcorn with white chocolate, cinnamon candies and sprinkles will be your new favorite holiday treat. 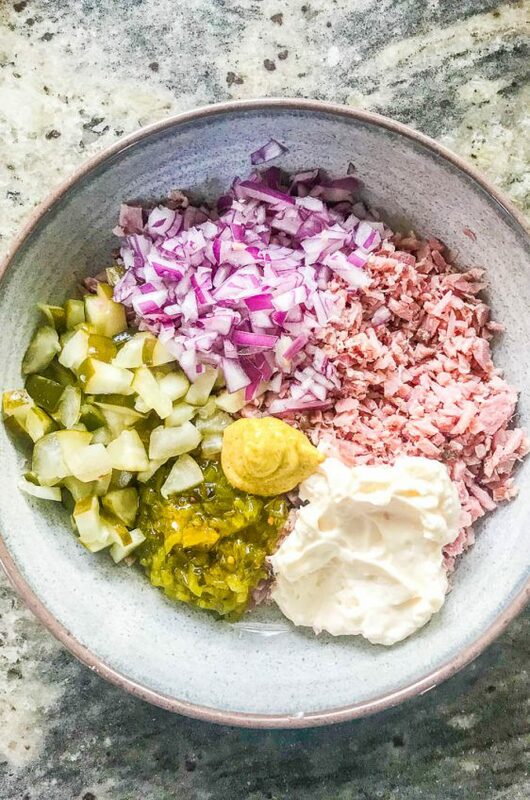 It takes about 10 minutes to prepare and makes a perfect gift too! We LOVE popcorn around our house. What about you? 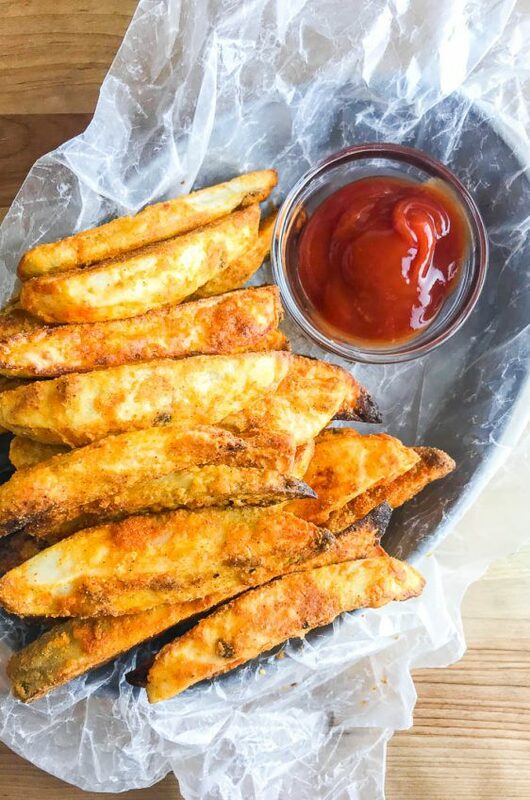 It is one of our favorite snacks and we just love it with salt and butter of course. Sometimes we like to fancy it up a bit with fried herb butter. Or make it spicy with Sweet n’ Spicy BBQ Popcorn. Other times, we like to sweeten up by making White Chocolate Churro Popcorn or add some peanut butter cups. 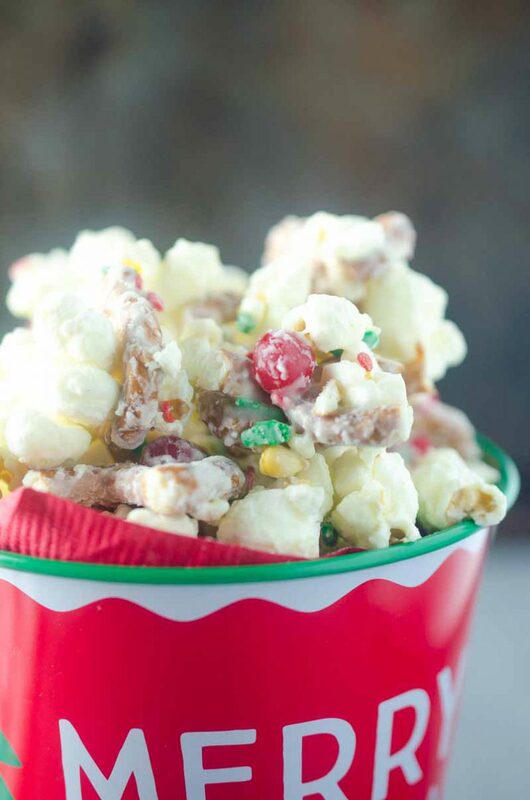 Now that it is the Christmas season, I’m adding this Cinnamon Christmas Popcorn to the mix. I have always been a huge fan of tossing red hot candies into my popcorn. I love the sweet n’ spicy kick that cinnamon candies add to the salty popcorn. 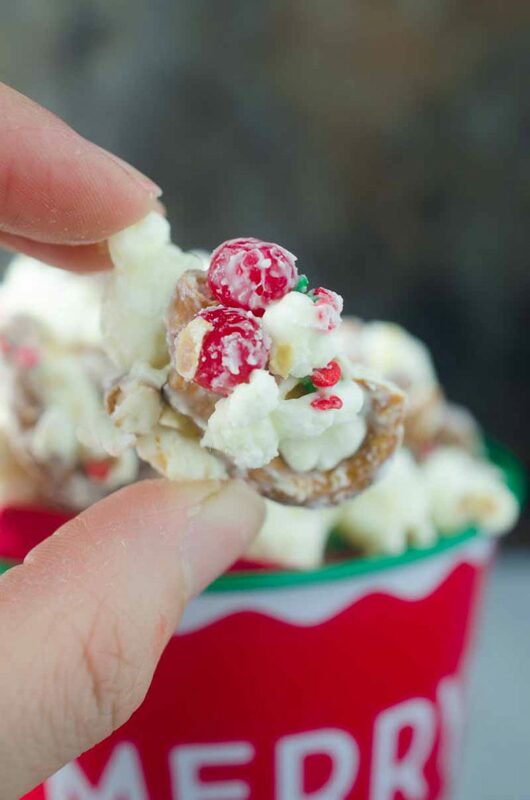 For this Cinnamon Christmas Popcorn, I decided to add cinnamon imperials (red hots) to the mix. They add the perfect cinnamon crunch to this popcorn. When I usually make my hot tamale popcorn snacks, it’s usually just the popcorn, butter and hot tamales. 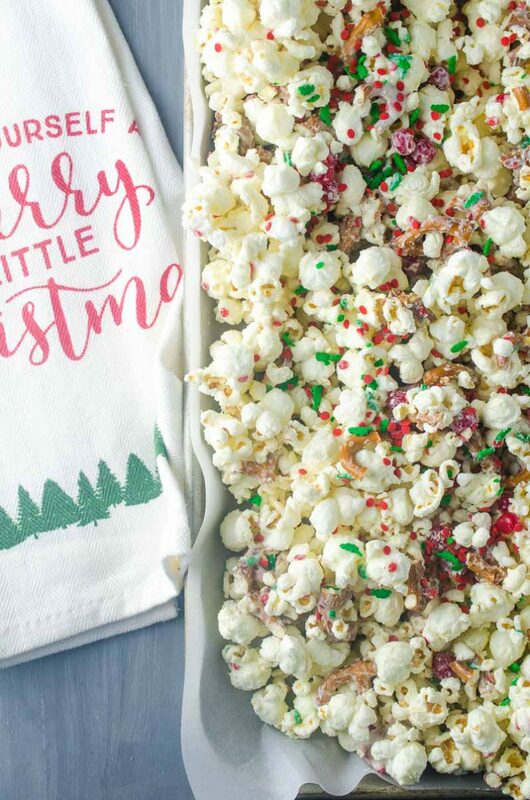 To make this Cinnamon Christmas Popcorn more of a sweet treat, it’s drizzled with melted white chocolate and tossed with sprinkles. I seriously love each and every salty sweet bite. 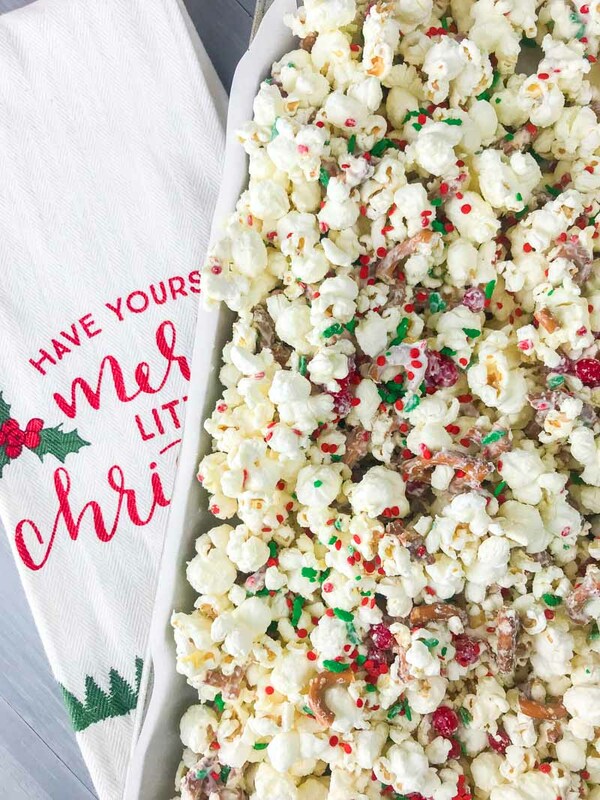 If you want to give the gift of goodies this year and don’t have that much time to bake, this Cinnamon Christmas Popcorn is perfect. It’s super festive and everyone loves it. Just be sure to save some for yourself too! 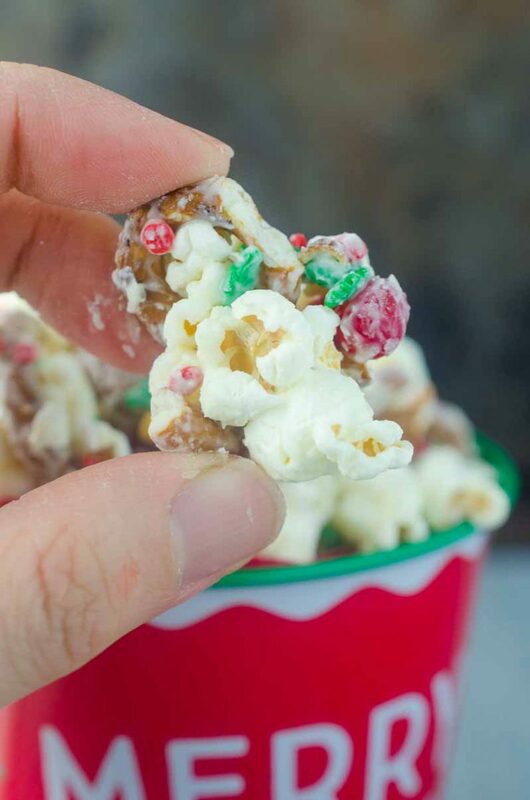 In a bowl combine popcorn, melted chocolate, pretzels, candies and 1/4 cupsprinkles. Mix until popcorn is coated in chocolate and ingredients are mixed. Spread popcorn on a baking sheet. Sprinkle with remaining sprinkles and let set for 10 minutes or until the chocolate hardens. Break into pieces and serve. Store in air tight container. This would be perfect for a holiday party! I love the spicy, sweet flavors here! My kids love spice so this is going to be a hit! So festive – perfect for a homemade gift! Such a great idea for Christmas gifts – if I don’t eat it all! What a delicious snack! My kids are sure to love this! This looks like a yearly must have! Now I need a movie and I am set! This sounds great! My kids would totally love this! This looks so good! I’m not sure I could stop eating it! The perfect holiday snack!!! My family would love it!! My 7 yr old is OBSESSED with popcorn. I can’t wait to see his face when I surprise him with this for movie night!! Looks so good! My mom makes something similar and it’s amazing!! Oh this is so fun and festive!! I love red hots, and I’d probably eat the whole bowl! Very nice post and indeed just the right snack for Christmas.